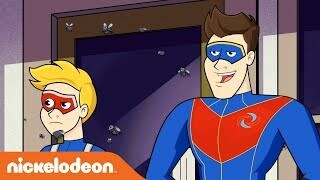 //When we learned that we would get to re-visit the world of Captain Man and Kid Danger for a half hour Nickelodeon series, our team was ecstatic. We’re no strangers to Kid Danger and Captain Man. We previously brought the goofy superheroes into the 2D world with an animated Henry Danger web series. Now with a full series to work on, we set out to make their adventures bigger and better. Our team used traditional animation chops to create wacky characters and weird settings for Kid Danger and Captain Man to explore. 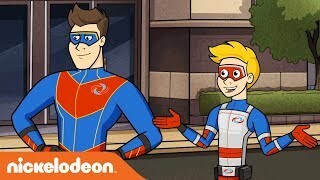 Jace Norman, Cooper Barnes, and the rest of the live-action Henry Danger cast lent their voices to bring their animated alter-egos to life. Catch The Adventures of Kid Danger on Nickelodeon. It’s gooood.